Rotating a circular polarising filter changes the strength of the polarising effect, making skies deeper or lighter, and changing the amount of reflection they cancel out. If you plan on using such a filter then wherever possible buy lenses where turning the zoom control doesn t simultaneously rotate the end of the lens, and with it the filter, as this will change the effect. If you have no choice, set your zoom first and adjust the effect afterwards, being careful not to throw the lens out of focus in the process. When using a filter set your the white balance on your camera to the appropriate conditions, rather than auto, to stop the camera compensating for the filter in front of the lens.Make sure you set your white balance manually when using a filter. 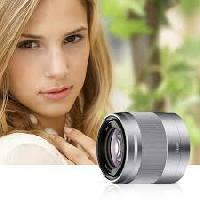 Putting a clear filter on the front of your lens to protect its surface sounds like a great idea. After all, your lens was an expensive investment. The end of your lens is stronger than you might think, however, and easy to clean if you don t let the dirt build up. Dispensing with a skylight filter will not only save you money, but also avoid the chance of introducing light problems due to increased reflections or the slight reduction in the level of illumination reaching the sensor. Dedicated macro lenses are expensive, but you can quickly and easily improve your existing lens macro credentials by using screw on magnifiers. They re not a perfect solution as they decrease the level of light coming into the lens, but for occasional work they are very effective, easily sourced and cheap. We bought ours, below, first hand from eBay, where you should expect to bid around ?15 for a set of four screw on filters.If you can t afford a dedicated macro mode, you can achieve the same result using an inexpensive set of add on magnifiers. It s tempting to add multiple filters to the end of each lens to achieve different results, but bear in mind that although they may look perfectly clear to you, each one reduces the amount of light passing through by a small amount. For the best results, use the smallest number of filters possible. 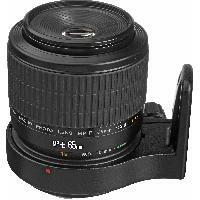 Some compact interchangeable lens cameras come with a choice of powered or manual zoom. The former is a great lazy option, allowing you to press a button to get the framing you re after, but the latter is often cheaper and almost always quicker to use as it moves at whatever speed you turn it, without being hobbled by the speed of an internal motor. You can also often make finer and more predictable changes when zooming manually than you can with a powered zoom rocker. If you re shooting a static display, add some interest by turning the zoom control while shooting with a fairly slow shutter speed (you can only do this with a manual zoom, as a powered lens will be locked off when shooting). This works particularly well when shooting cars and other forms of transport as it gives them a sense of motion.Give static subjects added dynamism and excitement by changing the zoom while using a slow shutter speed. Shooting with a fixed focal length a prime lens will make you think more carefully about how you want to frame a subject to tell a particular story. It will often also get you a cleaner, sharper result. Lenses are measured in terms of their focal length, which broadly describes the effect they have on incoming light and the way it is focused on the sensor. 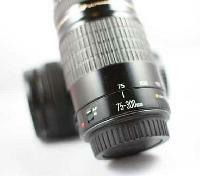 A short focal length, such as 24mm, doesn t have a very high level of magnification, so will focus a broad vista on the sensor. A long focal length, such as 240mm, has a high level of magnification, like a telescope, and so will fill the sensor with just the central part of the view. 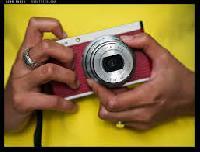 Unless you ve paid for a high end dSLR, or a professional camera such as the Leica M9 , your pocket snapper s sensor will almost certainly be smaller than a frame of 35mm film, the standard point of reference against which all focal lengths are measured.The 35mm in a frame s name actually relates to the space between the top and the bottom of the film strip, which as well as the frame itself also contains some border areas and the sprocket holes used to move the film through the camera. A 35mm frame is positioned lengthwise on this strip, with its shortest dimension top to bottom perpendicular to the film s direction of motion. As such, neither the height nor the width of the frame measures 35mm, but instead 24x36mm. To understand how the stated focal length on any lens will affect the shot captured by your camera, you need to factor in the multiplier effect, which converts the size of your sensor to the size of that 35mm piece of film. The multiplier is often between 1.5 and 1.7 but varies between manufacturers and models.So, if you re buying a lens for the Canon EOS 600D with its 22.3x14.9mm sensor you d need to multiply the stated focal length of the lens by 1.6. This would make a 50mm lens, commonly used in portrait photography, act like an 80mm lens, thus increasing the effective zoom and narrowing the amount of the scene seen in each frame. On a Nikon D5100 , which has a slightly larger sensor (23.6x15.6mm) you d need to multiply the lens measurements by 1.5, in which case an equivalent 50mm lens would act as though it were a 75mm unit.